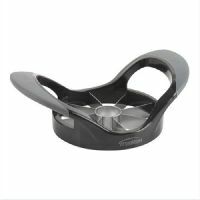 This stainless steel apple corer can peel, core and slice fruits, all in one operation taking less than ten seconds. It can also be used for dehydrating fruits. It is suitable for all fruits, vegetables and meat. It also has anti-skid rubber feet. 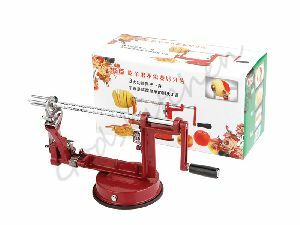 We offer s s apple corer with soft grip handle.